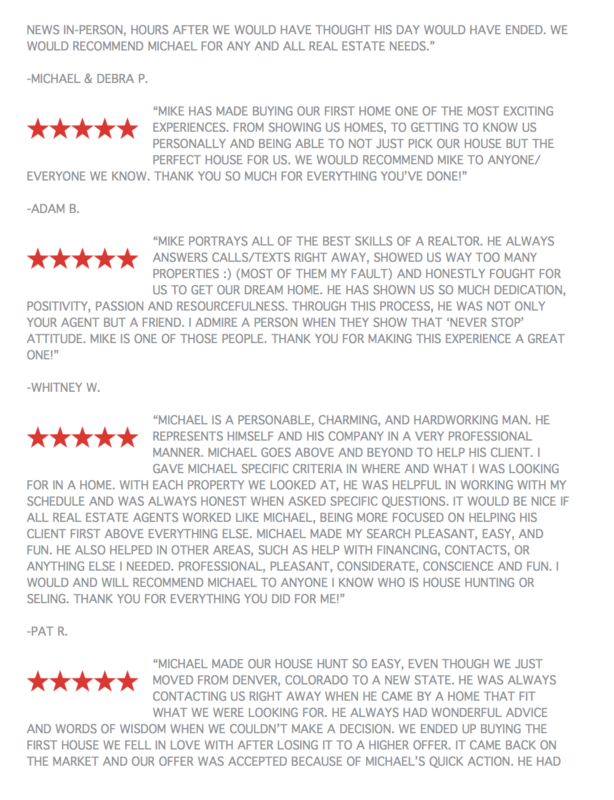 "Mike was extremely helpful and would answer any question in a timely manner. He was helpful in all aspects. 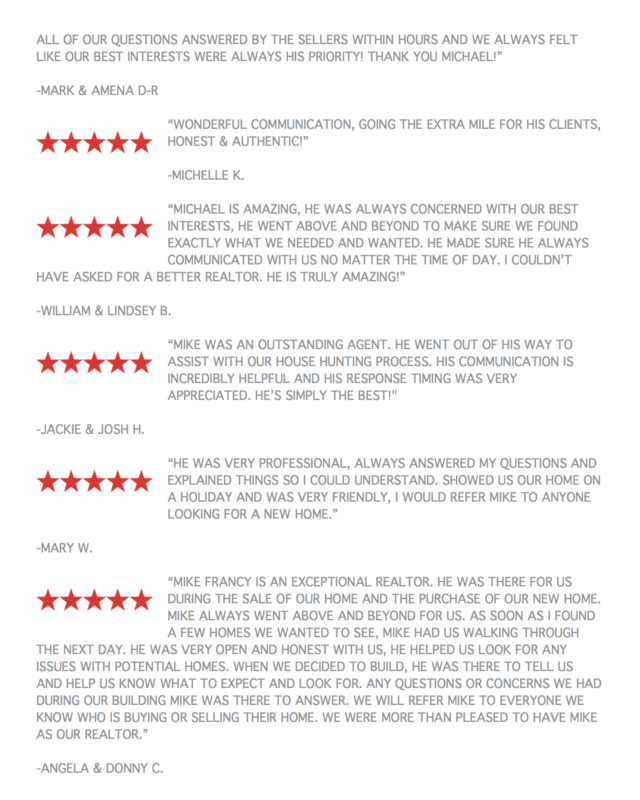 Our dream home was bought through Mike ... more "
"A true professional with clients best interest in mind. Extremely resposive communication throughout entire process. Makes no question feel like a ... more "
"We met Mike while looking for a rental property. It turned out that we were also looking for a home to relocate to from Indiana. We chose to go with ... more "